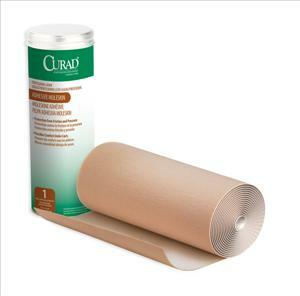 A roll of tan colored flannel with a napped cotton backing on a zinc oxide-based adhesive that helps prevent irritation. Used to prevent blisters, corns, calluses and chafing. Cut to desired size. Contains natural rubber latex. 9" x 4 Yards.